Nice to be a CEO. You make the rules. 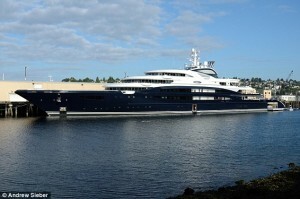 Bill Gates and other CEOs have been firing American engineers and techs, then importing engineers and techs from India. This is partly how American CEOs made an increase in their bottom line. Now the band wagon is becoming very popular as the easy, cheap labor allows CEOs to make large increases in their portfolio. The destruction of American workers, however, is a disaster for American engineers and techs. It is a plan that was put into effect by constructing trading regions, globally. This was put together by CEOs and corporations with the World Trade Organization, and the blessing of the U.N. , Kofi Annan. Companies now import foreign workers as well as open up foreign factories. Part of this agreement was that factories (American and others) could transfer to third world nations which offered cheap labor as low as 15 cents an hour, for 12 hour days-no time and a half. This is how a number of CEOs make a large increase of their already large fortune. This is why Bill Gates and a growing number of his playmates have made a very nice upgrade of his profits, on the firing of millions of Americans. 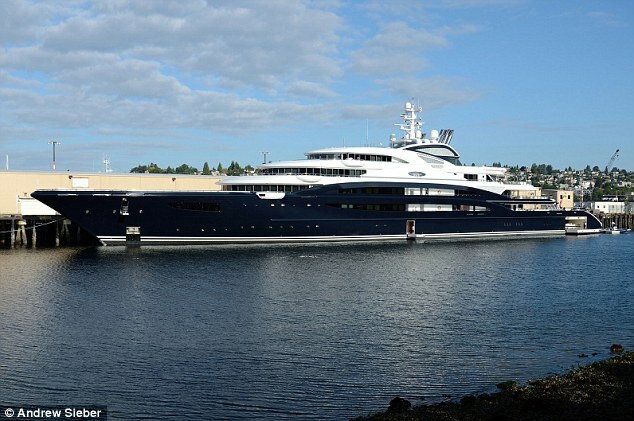 This is why he can rent a huge yacht, 450 feet long, for 5 million dollars a week. Just for him and his family. Why not? American workers just have to try a little harder. Other Workers come from Prison Labor and Temps. 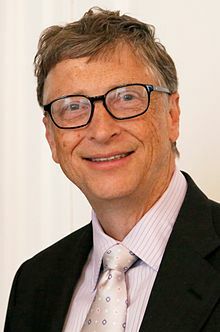 Bill Gates has said that he would get as many engineers from India that he can. And he could keep firing American engineers. George W. Bush began that rush to replace American workers. Bush and CEOs are using the global workforce to replace American workers and to lower wages. That is why the U.S. Government has agreed to integrate North America in order to utilize Mexican labor and bring in all the cheap labor (120,000,000) from Mexico and use it to make massive profits, which will go to the CEOs of the U.S. and Canada. This flight of corporations to Mexico has been going on seriously for the last decade. The flight of jobs have also increased to the third world (Asia) where American CEOs are building their factories and reaping outrageous profits with hard, cruel, nonstop labor. But now the focus is on utilizing Mexican workers as much as possible. Right now, Mexican employees work for American companies at top wages of $3.50 per hour and 50 cents an hour for benefits. Therefore, American, Canadian and European factories are rushing in to use this quality Mexican worker, who is now building American automobiles for Americans and shipping them to the U.S. Meanwhile, American workers are losing their jobs and will soon lose many more when the three nations of Canada, Mexico and the United States have integrated into one economic trading region. When North America finishes the common perimeter around North America, all “North American citizens” living inside the perimeter borders between Mexico and the U.S. and between Canada and the U.S., will have complete movement throughout the continent. They will then be able to “live and work” anywhere on the continent, according to the plan (pages 27,28) being completed. If you are using the plan in the link above, click off to pages 49/50 (equals to 27,28). All Mexicans will then be displacing American jobs at much lower pay and benefits. So, many millions more Americans will be out of jobs permanently. The plan of the CEOs are, with the agreement of leaders of the United States, is to keep wages down. Both Democrats and Republicans are in accord. Yes. Many Americans and their families will be permanently out of work. The big non-secret is that the plan is designed by CEOs to have a large surplus of workers so that cheap labor will keep many American workers out of jobs or working for starvation wages. Of course, they know that. The bad news is that CEOs around the world are in the process of constructing the same trading regions, agreeing to the same cheap labor “agreements” that will not support a family, a home or a car. And those wages are still going down because American workers are competing against cheap labor that is also being imported into the United States. Bill Gates spoke before Congress and said essentially that he would hire all the Indians that he could. When the 34 countries in the trading agreement of the Americas have been ratified by the leaders of the Americas, all workers in the Americas will have the ability to move to any nation in the Americas (courtesy of the trade agreements) to work. One more item: All international laws will be agreed to, according to the United Nations. Some of the laws which have been a part of our nation will no longer be valid in the United States. For example, the First Amendment will no longer apply. The UN version of free speech has an addition different than the one in the United Nations version and the European version. The only one that doesn’t have the UN and the EU version, is the one found in the American version, in the first amendment. When the U.S. becomes part of the Americas, it must change its version of the “free speech” to that of the UN and the European Union. In this version, your speech can put you in prison for 3 years, and up to 10 years in the EU version. Even if your speech is true…but causes harm to the victim of your speech, the person convicted can be imprisoned. Bridgett Bardot has been arrested a number of times for her speech against Muslim threats and terror against French citizens. She has been fined a number of times but not imprisoned because the uproar would be too much. This is the version that Obama, Hillary Clinton, Bush, Bill Gates, and you, can be charged and imprisoned for your speech. This is all part of the New World Order. All because of greedy CEOs and Politicians. That means no more Democracy and due process, etc. The all-covering police state will make sure that your movements will be duly noted from street corners, traffic lights, and thousands of drones to monitor suspicious homes. Your every location can be found quickly inside the perimeter of North America. They will have your latest location if it becomes necessary. Your last location and where, will make it easy to find. The Europeans already have a system that can locate you for business, banking, your criminal record, where to find you and if you are currently wanted by the police anywhere in the European Union. All of these trading regions have electronic records, which includes the complete records of your criminal files, the reason and where your location was last seen. The Americas, 34 nations of North and South America, plus the Caribbean islands, will complete the UN project of recording every citizen of the region by the deadline of 2015, except the United States and Canada. 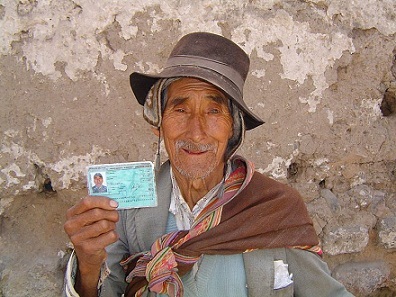 Mexico is already deep into their Biometric ID cards, which will be integrated into interconnected data bases throughout the hemisphere. Eventually, the whole planet will be connected by these data connections. All citizens of the Americas and their children will have their ID cards. (The UN statements on this project are clear but the source changed it to Spanish. There is, however, enough of value in English so that you could read it. Much of the information is in English on my article so please read it. It clearly reveals that all citizens of the Americas and their children must always have an ID card (always). Both Canada and the United States have not yet settled on how to complete their census in order to become part of this New World Order, with appropriate ID. See now why the rulers of our planet must account for everyone. That’s also why North America is working to make everyone counted. Will you go peacefully into the New World Order? Remember this. I told you so. President Richard Haass: A Leader in the Transformation to Global Governance. This change will bring the new world order. The End of Democracy and the Sovereign Nation. From the U.N., all citizens of the Americas will be registered by 2015. Once again, Canada and the United States must also complete the registration of their citizens. I have enough text direct from the UN so that the directions in English are clear. All readers can read what I have from the UN. The text essentially directs adult citizens and children so everyone in the Americas can be registered and placed into DATABASES. This info has been directed carefully, even though it seems to be straight out of Revelations. It reads thus from Carla Abouzahr, Health Metrics Network.